It's been a mild winter, but a winter nonetheless. And winter is the best time for cozy indoor projects with the kids. Especially projects that use creativity, and that they can play with for hours afterward. 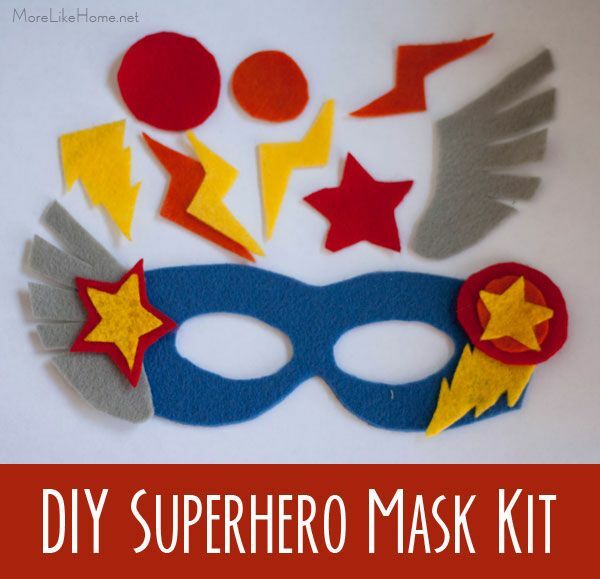 Like a DIY superhero mask kit. 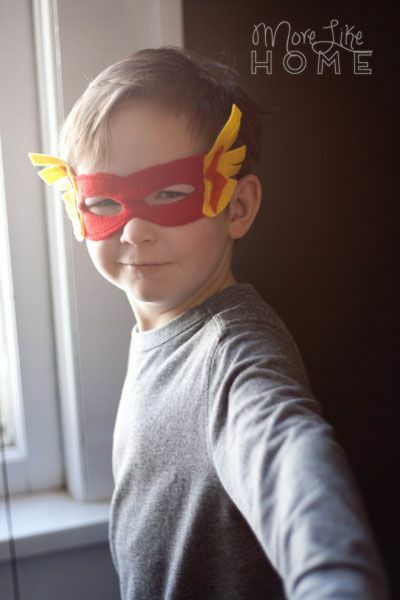 Last Christmas we were looking at craft kits to give as gifts to a few kids on our shopping list when I came across a line of mask kits (superhero masks, princess masks, and animal masks). They were perfect for the kids we were shopping for... but they were $20 each. And I had a whole box of felt scraps in the closet. Start by making the basic mask. 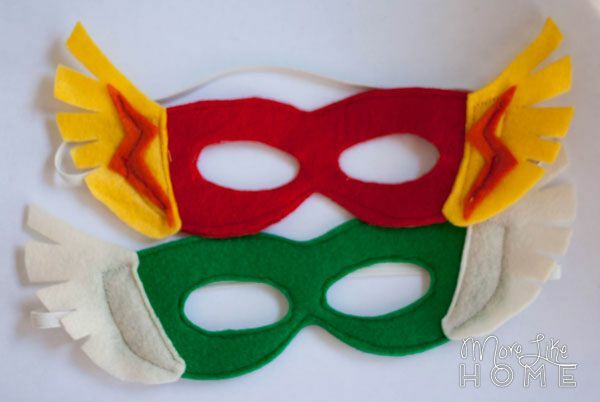 Cut out two matching mask pieces (you can download the superhero mask and princess mask patterns here) from your main felt color. Stack the pieces on top of each other and sew around the outside edges and the eye openings. This makes a sturdier mask than a single layer. 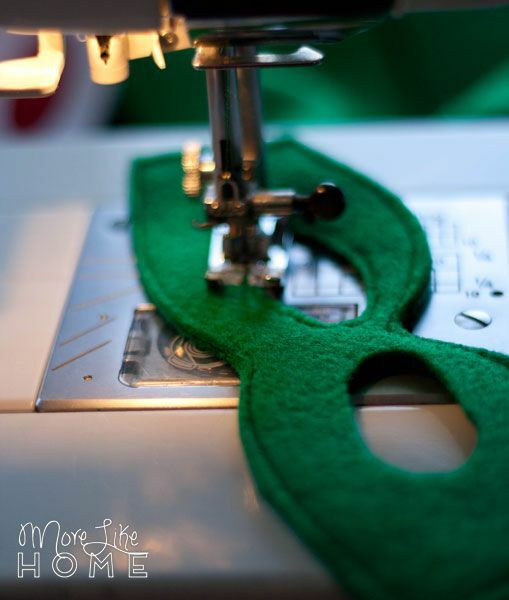 Cut a 12" piece of elastic and sew each end to one side of the mask at the spot marked on the pattern. Make sure the elastic isn't twisted. 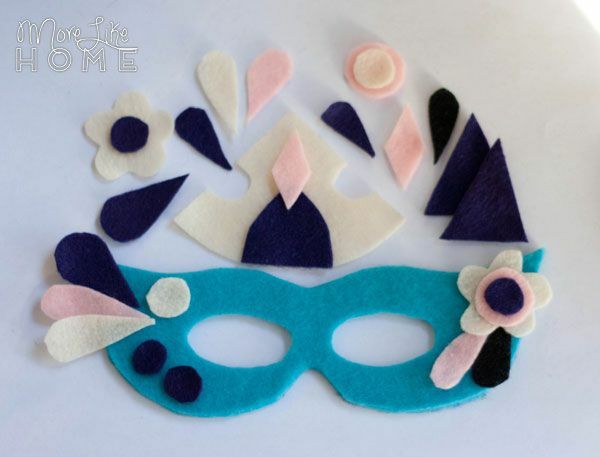 That will make a basic mask that you can use as-is, or use the coordinating felt colors to cut out a variety of shapes the kids can use to decorate their own masks. 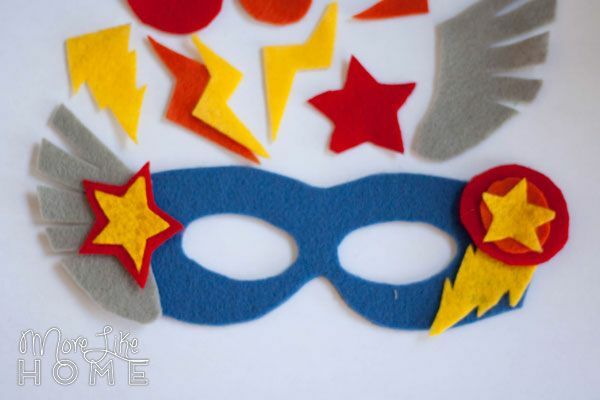 Some of our favorites for the superhero masks are circles, stars, lightning bolts, and wings (our boys' favorite). For the princess mask we included things like a crown shape, flowers, circles, tear drops, and diamonds. Next time I'll throw a butterfly or two in there, too. Wrap the mask and felt decorations in a gift box with a small bottle of fabric glue (for attaching the pieces) and a tube of glitter glue (for decorating). You can finish off the gift with one of these cute little mask kit labels. 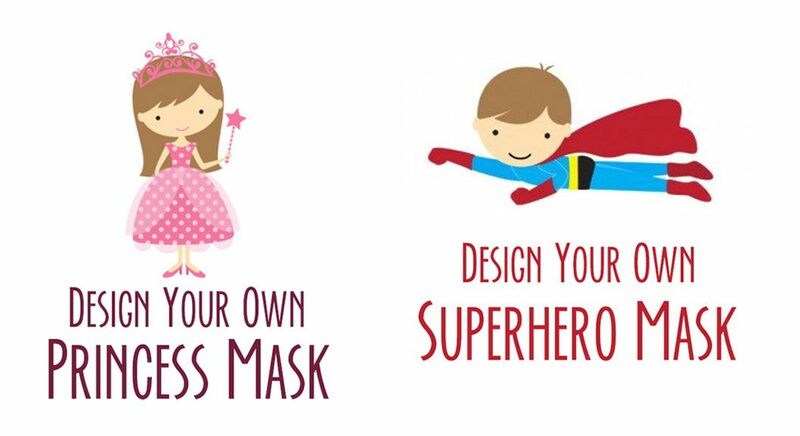 Superhero mask tag here, and princess mask tag here. Give it to your little crafters and let them run wild! But maybe not too wild with the glue. Trust me on that one. 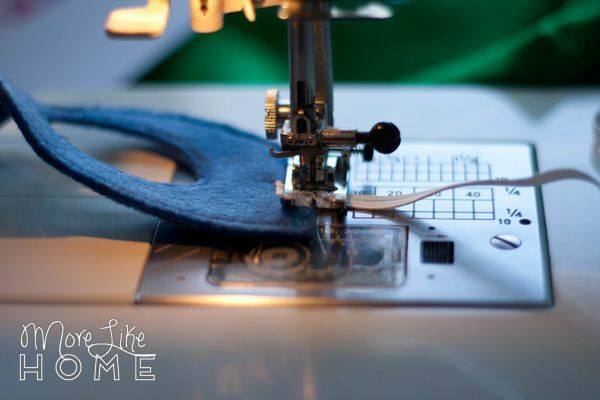 If you're making masks at home you can also sew the pieces on instead of using fabric glue. 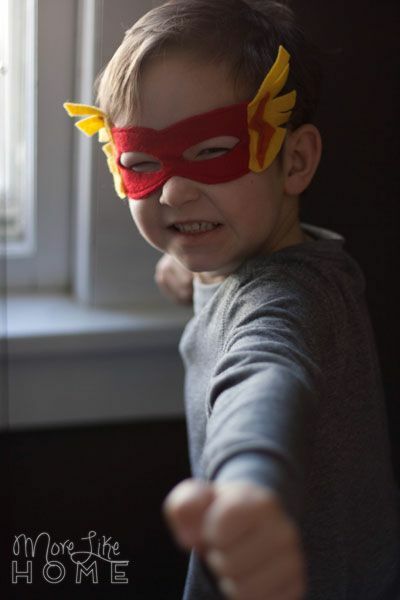 I went that route with my boys' masks since I had the sewing machine out anyway. They went for The Flash and Green Lantern. Did I mention they love the wings? We love looking for gifts that aren't toys, like books or art supplies, and these mask kits are a great option. I don't know why we didn't think of craft kits before! What are your go-to gifts for kids?